[Art – Puerto Rico] Universidad Sagrado Corazón, Galería de Arte and Michelle Marxuach Galería. U/topistas: Estudio para proyectos contemporaneous. San Juan, Puerto Rico: Michelle Marxuach Galeria; M&M Art Projects, . 8vo,  pp. ; color illus., wrappers sl. loosened with small markings on front cover. 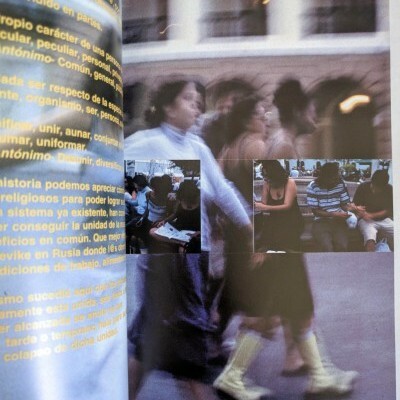 Catalog documenting projects by 37 Puerto Rican artists for an exhibit that took place at the Galeria de Arte de Universidad Sagrado Corazon in conjunction with the PUERTO RICO ‘00 (PARENTESIS EN LA CIUDAD) exhibition. Includes early work by Puerto Rican artists Allora & Calzadilla, Ernesto Pujol, Pedro Velez, and others. OCLC locates a single holding (Getty).